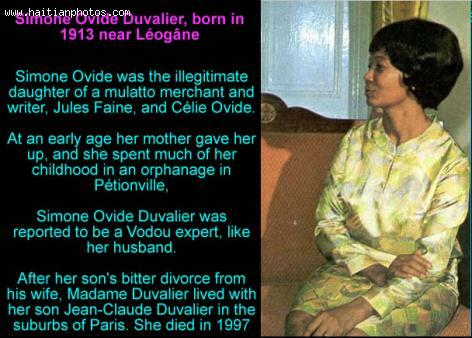 Here is a picture of the Duvalier Family, Francois Duvalier, Jean Claude Duvalier, Simone Ovide Duvalier. 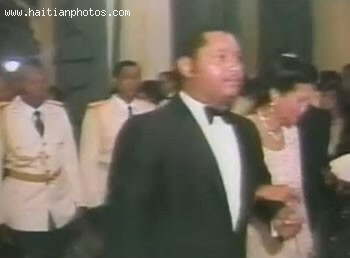 Before there was 'Baby Doc', there was 'Papa Doc', and notwithstanding any cliche in the saying about apples and how far they fall from the tree, Francois Duvalier taught his son to rule by his own example. 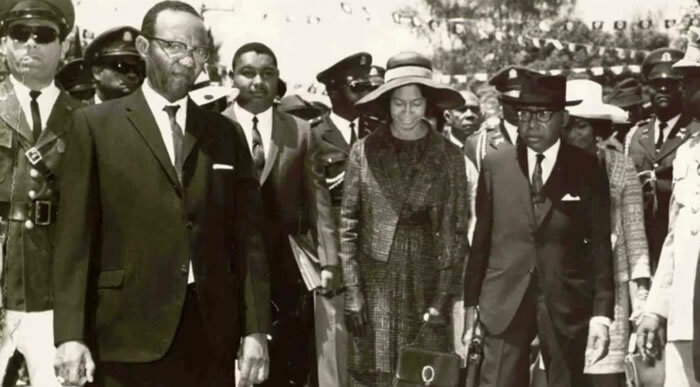 This president would, throughout his unconstitutionally elongated rule of Haiti, be responsible for the reported deaths of thousands and the repression of millions of Haitians, ruling through fear and intimidation for many years. 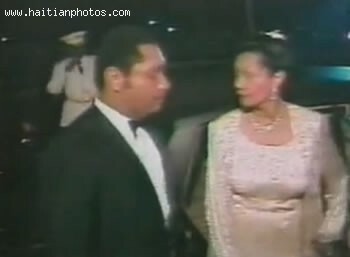 Here is a picture of former Haitian Dictator Francois Duvalier and his wife, Simone Ovide Duvalier as we are looking at Haitian wedding tradition. 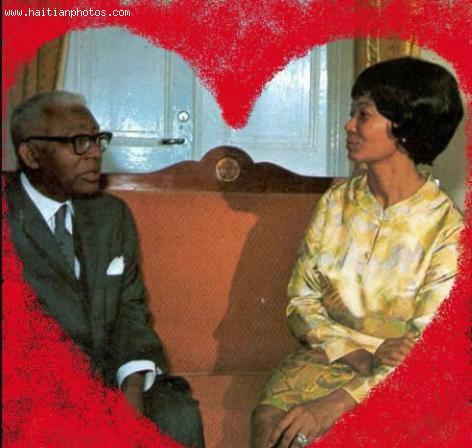 The fare served at a wedding reception in Haiti or of Haitian influence is almost certainly Creole. Food is so important at the ceremony that a huge part of the entire wedding budget is spent on its preparation. The cooking is done by family members and include the favorites like diri ak pwa (rice and beans), salads, plantains, pikliz and meat dishes like griot, goat, conch and chicken. Wine, tea and beer is usually served, and, depending on the size of the party and the wedding's budget, whisky and champagne may make an appearance. Before the destruction of the town of Léogâne in the south of Haiti by the earthquake three years ago, the town by the sea was known more for its hometown organizations that included the baccalaureate nursing school, Faculté des Sciences Infirmières de l'Université Épiscopale d'Haïti à Léogâne, the Global Outreach and Love of Soccer foundation, and the bases for the Children's Nutrition Program and Deep Springs International. The town had also hosted a team from Indiana's University of Notre Dame du Lac and the U.S. Centers for Disease Control at the Sainte Croix Hospital.